Introducing Colin Jalbert’s Hyperdigital Birthday! 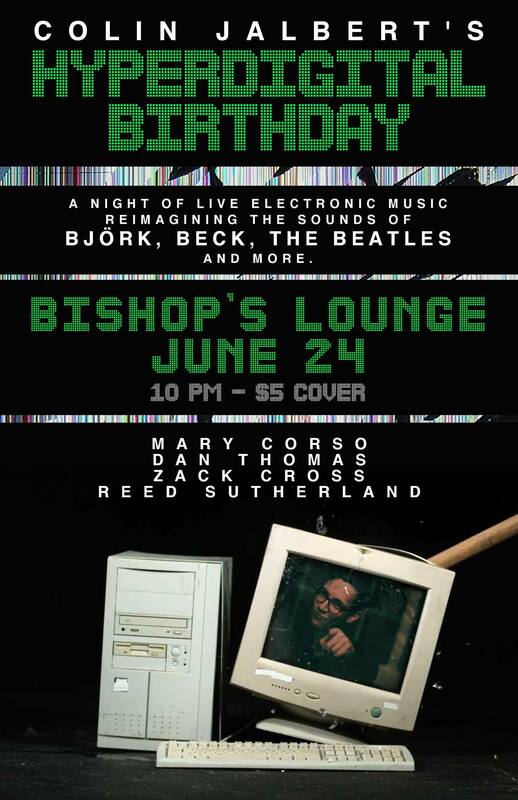 Come celebrate Colin’s 27th birthday with a night of live electronic music, reimagining the sounds Björk, Beck, The Beatles and more. There will also be a solo live remix set with Sunhouse drum triggers.